The farmer Angulo Barbosa was worrying because he had no money to buy seeds. 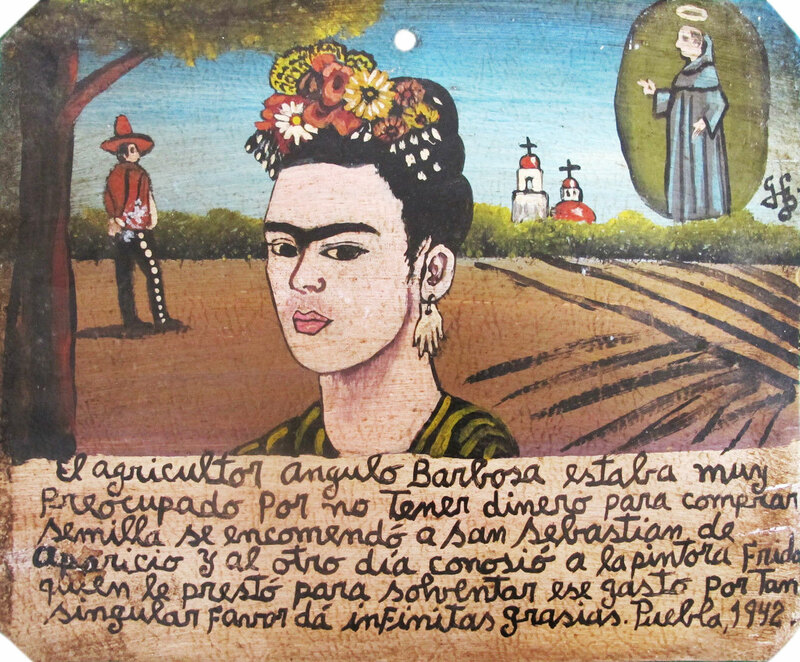 He entrusted himself to Saint Sebastian de Aparicio, and the next day he met the artists Frida who lent him the necessary sum. He gives infinite thanks for such an extraordinary favor.